Ron Pearson is a comedian and world class juggling expert originally from Seattle, who has made numerous television and corporate appearances. 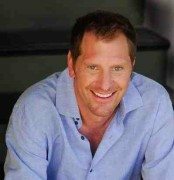 He has appeared on such shows as The George Lopez Show, The Drew Carey Show, That 70s Show, Two Guys and a Girl, Norm, and Boston Legal. Pearson Starred on the show Malcolm and Eddie for two years and appeared in the films Little Black Book, starring Brittany Murphy and The Disney Channel movie Starstruck. He has also been the warm-up comedian for almost 2000 episodes of shows like Lopez Tonight; Good Luck Charlie, Last Man Standing and Rules of Engagement. In this clip, from one of Ron’s appearances at the Laugh Factory in Hollywood, CA, he describes his addiction to the Winter Olympics and its sometimes odd events. Ron’s observation comedy about some of the questionable activities the Olympic committee considers sports display his sharp comedic talent. His unique, corporate friendly act sometimes incorporates his juggling abilities. Ron Pearson juggles laughter in this hilarious performance by one of Hollywood’s hardest working comics. Ron Pearson appears on the “Late Late Show with Craig Ferguson” discussing life with his brand of humor while juggling as fast as he speaks. Holding a world record as a juggler as a teen, the fun flies in this standup comedy clip. The best part of Pearson is performance? You do not have to kick HR of the room to watch it as Ron keeps it corporate clean. Described as “a comic ball of fire” by The Hollywood Reporter, this Washington native will have all ages laughing out loud. It can safely be said that Ron Pearson was born to entertain. Ron honed his juggling and street performance skills during his early teens, and by the age of 15 he held a national record as a juggler. Having made his way to Hollywood soon after his 18th birthday, Ron quickly gained notoriety and high praise from sources such as The Los Angeles Times. His ‘Spitwads and Dodgeball’ show takes a fast-paced, and vibrant peek into the trek from childhood to adulthood, touching on some hilarious landmarks along the way. This short clip is only a small taste of the nonstop, high energy performances that Ron has been giving for years. Few entertainers in the history of corporate entertainment have the bevy of physical skills and mental sharpness that Ron possesses and employs in each of his shows. One minute you’ll be laughing uncontrollably at a joke and then next minute you may be onstage with Ron, assisting him in one of his many hilarious and creative bits. If you are looking to book a performer for your next event, look no further than the talented and incredibly versatile Ron Person. Ron Pearson describes some of the oddball questions he posed to his hapless high school science teachers. You will not be able to hold in the laughter as you picture his teachers trying to think on their feet and cope with such a brilliant student. Ron’s material is reminiscent of the best of the great masters of wit and timing, relying on clever wordplay and incisive observations rather than facial expressions and sound effects. Ron does not base his act on obscenity and vulgarity, however, and anyone who has seen his performance knows why – he simply does not need to. Ron’s delivery is spot on, his material is brilliant, and his performances are side-splitting. This routine, like all of Ron’s work, is packed with quotable lines and memorable stories. Enjoy! Ron Pearson’s one of a kind comedy is available for appearances and events.